The remake of a classic Famicom game is a great way to experience this Fire Emblem for the first time in English. The Fire Emblem series has always been a beacon of familiarity and quality when it comes to tactical and strategy-based role-playing games. Its popularity only grew in scope when the excellent Fire Emblem Awakening and equally fantastic Fire Emblem Fates released to eager fans. The latest game, Fire Emblem Echoes: Shadows of Valentia, is actually a remake of a Japan-only sequel to the original Famicom Fire Emblem, Fire Emblem Gaiden. Shadows of Valentia is a polished and feature-rich installment for the Nintendo 3DS that’s jam-packed with both new and familiar elements to please newcomers and veterans alike. 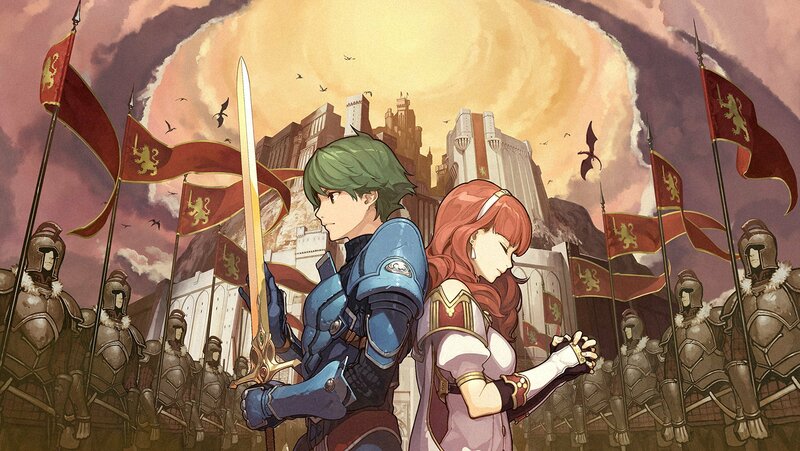 Shadows of Valentia picks up right in the middle of a bond being formed between the two main characters of the game: two childhood friends named Alm and Celica. It’s their dream to stay with each other forever, especially beyond their village Ram smack dab in the middle of the Valentia content. Their plans to stay together are soon torn asunder as they’re finally forced to separate and end up growing up in two different places. 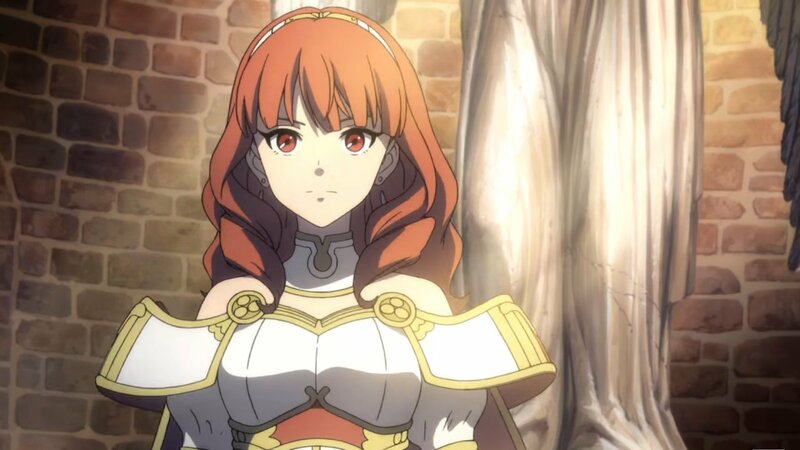 The game advances time so you see them about a decade later as both are taking control of two very different sides: Alm with the Zofians and Celica searching for a goddess. It’s a vastly different narrative than you may be used to with previous Fire Emblem games, especially since this is a different approach to narrative than most of the titles have had in the past. You’ll switch between both Alm and Celica’s points of view, and as you progress you’ll be able to explore villages and examine the areas you visit for additional information and items while you look around. It adds an interesting new element that hasn’t always been present in previous Fire Emblem games, giving you added context for the areas that don’t often speak for themselves enough in combat. It also tends to give the game a much-needed JRPG traditionalist injection. While storytelling is great on its own merits, Shadows of Valentia wouldn’t be half the game it is without its strategy RPG trappings, which lend the game a feel similar to all the rest of the Fire Emblem games, with a few alterations. You’ll see your units and enemies top down until you get yourself into a skirmish, which will happen right on the map. One unfamiliar, new option is the ability to predict what kind of outcomes your attacks and actions will have before you execute them. It gives you more room to play around with different strategies to see what works and what doesn’t. Everything else is largely the same: kill all enemies to succeed, use melee, ranged weapons, magic and other abilities to fell all the foes around you, and move on. There is an interesting new addition called Mila’s Turnwheel, however, which allows you to turn back time. If something doesn’t work out for you or you find that one of your party members dies, you can go back one of three times per dungeon and try it all again. It’s a good safety net for when things get dire, and one that you’ll find yourself using often. Speaking of dungeons, these are some of the greatest draws of Shadows of Valentia, where you get to explore catacombs with full control of your chosen character and attack enemies as they come into view. It’s a lot different from regular strategic combat, and it offers a whole smorgasbord of new elements to try out for fans who may only have ever been interested in the normal turn-based affairs. While the battles that take place in dungeons are nowhere near as deep or as satisfying as the ones you’ll break out into on the main map, they’re great for a break in the cycle here and there. Of course, with all this different content, there were bound to be changes made that Fire Emblem fans may be shaken by. There is no Weapons Triangle system, mostly because back when the original game first made its debut, that mechanic wasn’t even a part of Fire Emblem just yet. There are also no relationship options or ways to marry off characters or see them have children. Your combatants can and will grow together and grow closer, however, and seeing the special conversations that happen as a result is still a rewarding experience. Weapons won’t break either, and you don’t even need Tomes to teach those who wield magic their special skills. Classes are a completely different affair, and they feel a lot more streamlined than the wide variety in the other Fire Emblem titles. You can still have your Pegasus Knights and Saints, but by the same token there aren’t any Kitsunes or Maids. You aren’t missing much with this alteration, but some players may find that building their armies seems a little less colorful without these options. 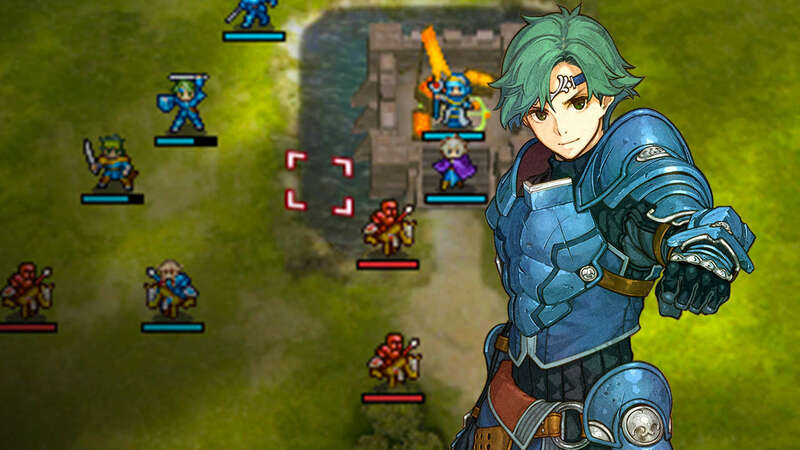 Shadows of Valentia looks just as fantastic as its contemporaries, still featuring character portraits and 3D models as well as the adorable, pixelized character art used when depicting units. Smooth animation and lovingly crafted still shots make for an engaging story that comes to life with eye-popping choreography and smooth graphical presentation. The voice acting is top of the line as well, with tight localization and great lines that really nail the characters’ personalities. Support Conversations really shine, and it’s appreciated that such great vocal talent was selected to punctuate the in-game action. Those looking for more Fire Emblem goodness on the Nintendo 3DS can’t go wrong with Shadows of Valentia. It’s got all the hallmarks of excellence its predecessors have included, with familiar characters, dialogue, combat options, and strategy. With amiibo support and a great premise as well as JRPG-esque exploration, it’s clearly one of the best ways Nintendo could have gone about releasing a classic for the first time in English and augmenting it just right. If you’re a Fire Emblem fan you’d do well to pick up a copy, stat.